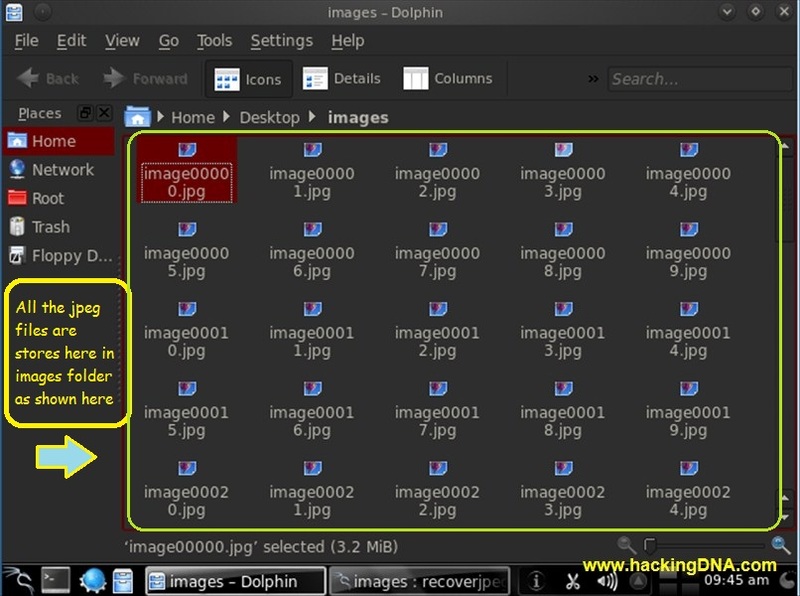 It is a forensic tool used to recover the jpeg from a filesystem images . Recoverjpeg has been written by Samuel Tardieu . 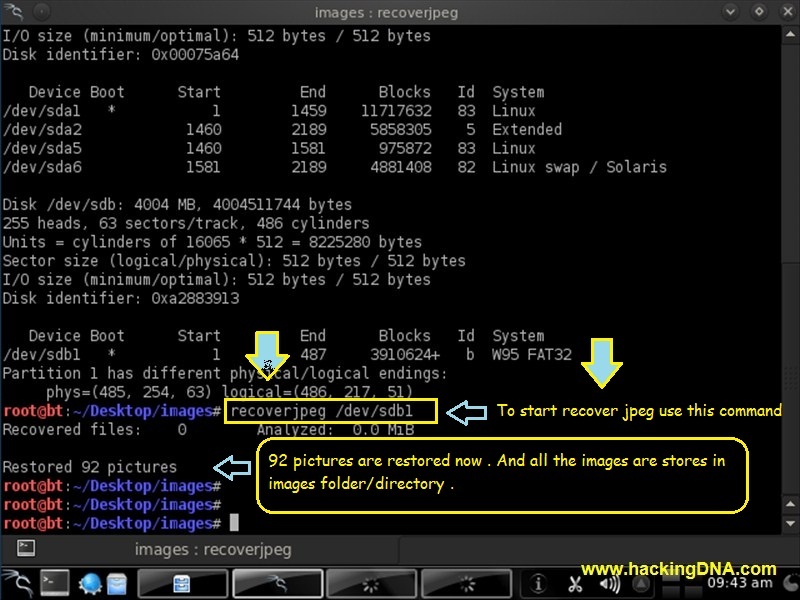 Recoveryjpeg searches for jpeg and recover them . Its a good forensic carving tool , good to recover the lost images from you partition. 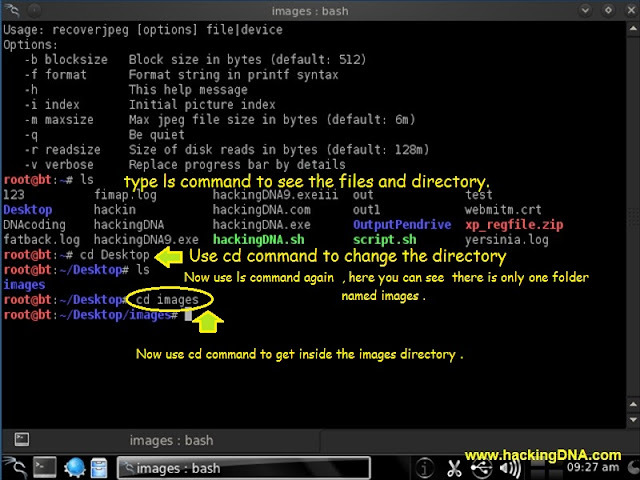 step 5 : Change the Directory : Use ls command to see the directory name and then go to the Desktop directory. 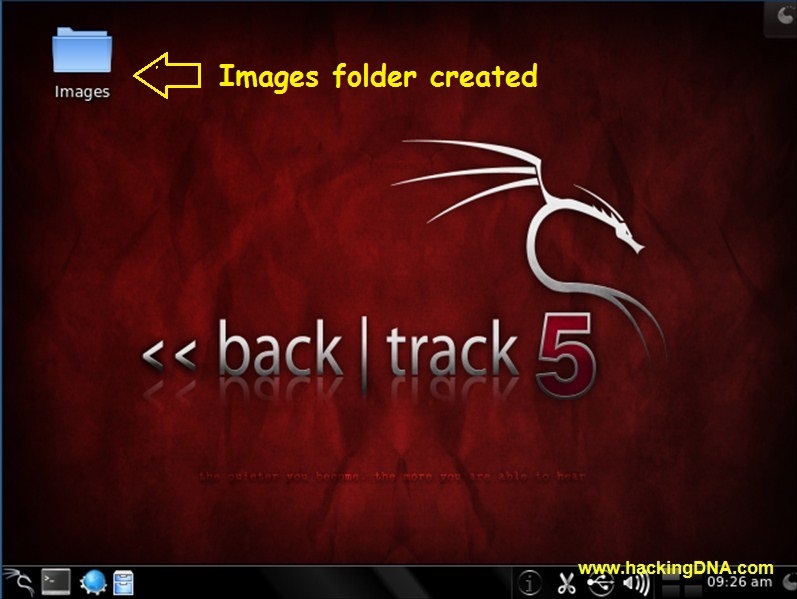 cd image : Again use cd command to change the directory and get onto the images folder. 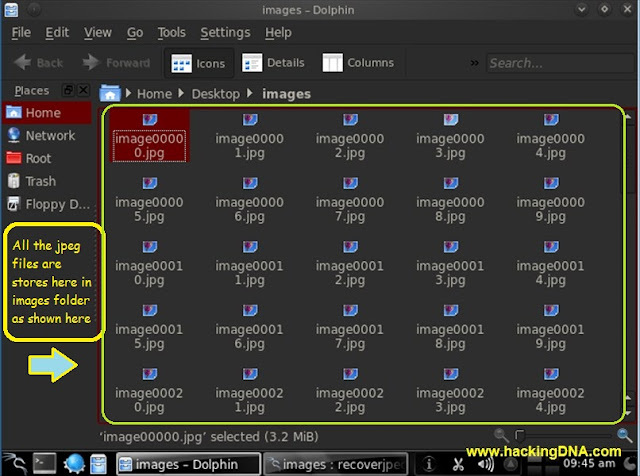 Here my partition is /dev/sdb1 , from where i am going to recover all the jpeg images . 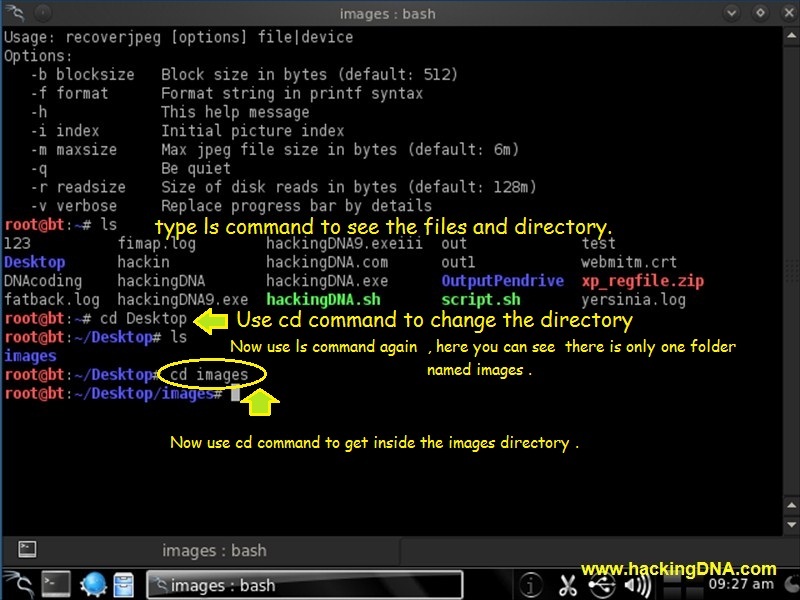 Step 7 : Start recoverjpeg program : To start recoverjpeg tool , use the command . 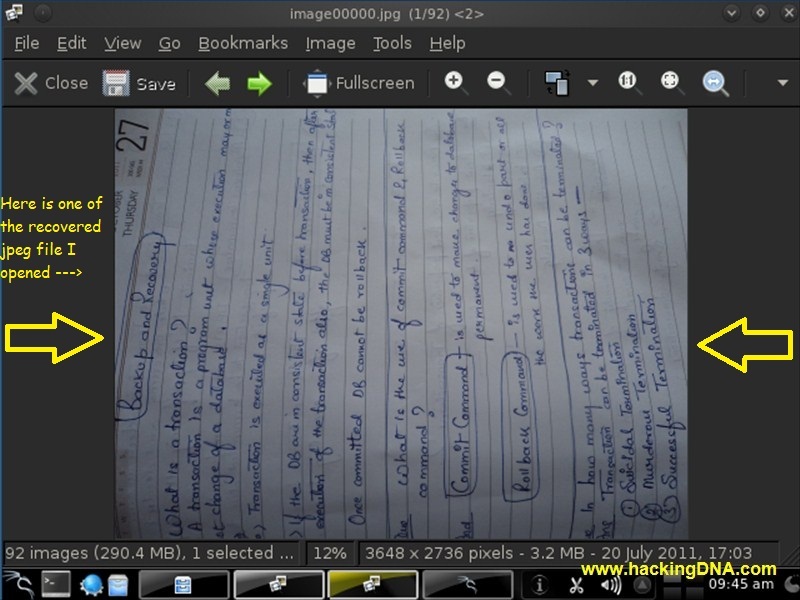 Step 9 : When I open image0000.jpg, it show the image of my notes .